RunnerDude's Blog: Where did the .2 Come from? Did you know that the distance of the first modern Olympic Marathon in 1896 was 24.8 miles. So why is it 26.2 today? You've probably heard the legend of Pheidippides, the Greek who ran from the city of Marathon to Athens to deliver a message that they had defeated the Persian Army. You also probably know that upon reaching Athens, he staggered and exclaimed, "Rejoice! We Conquer!" and then collapsed and died. Nice story, huh? Really motivates you to run a marathon. LOL! But I digress....why is the distance for a full marathon today 26.2 instead of 24.8 miles (the real distance from Marathon to Athens)? 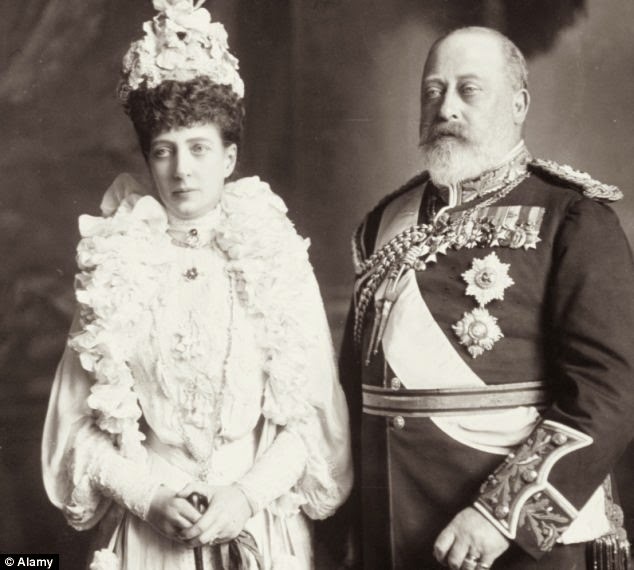 Well, in 1908 when the Olympic games were being held in England, King Edward VII and Queen Alexandria requested that the race begin at Windsor Castle. Why? They wanted to Royal family to be able to see the start. I guess when you're King, you can pretty much get what you want. The distance from the castle to the Olympic Stadium in London was 26 miles. So what about the .2? The distance was extended 385 yards (.2 miles) around the track at the stadium so the runners would cross the finish line directly in front of Edward and Alexandria. Pretty swanky huh? 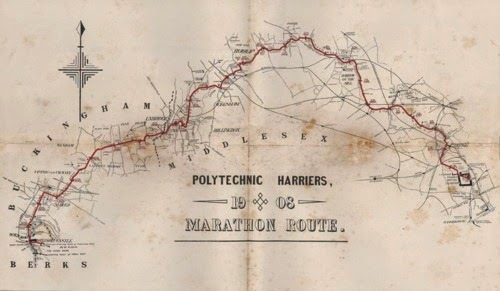 The marathon distance in other competitions kept varying in length until 1921 when it was decided that the official distance would be 26 miles and 385 yards, or 26.2 miles. So, you can thank Edward and Alexandria for the extra 1.4 miles.